Perpignan sub Gert Muller comes onto the field. Yassine Boutemane departs for Perpignan. Quentin Walker comes on for Perpignan. Enzo Forletta leaves the field. Steffon Armitage (Pau) is shown a yellow card. Pau decide to make a substitution, with Clovis Lebail getting some game time. Pau decide to make a substitution, with Thibault Daubagna being replaced. Enzo Selponi does the business as his conversion attempt goes over. Yassine Boutemane sets up the try. Shahn Eru scores a try for Perpignan. Perpignan make a substitution with David Mélé coming on. Perpignan make a substitution with Tom Ecochard coming off. 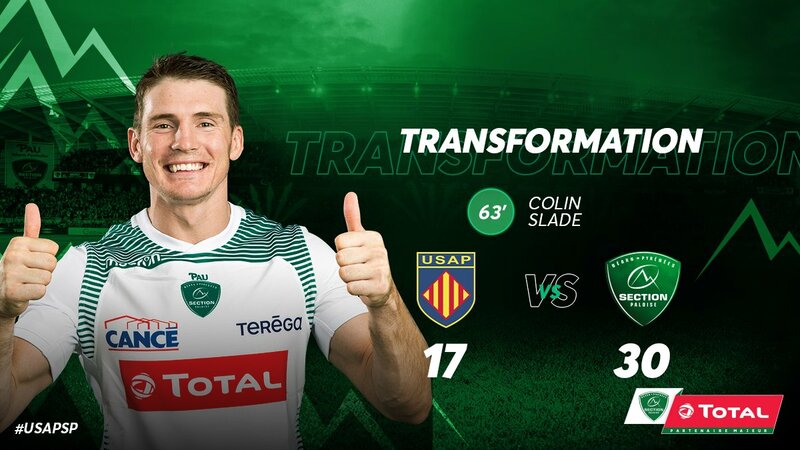 Colin Slade makes no mistake with that conversion attempt. Spellbinding play by Charly Malie is finished off with a try. 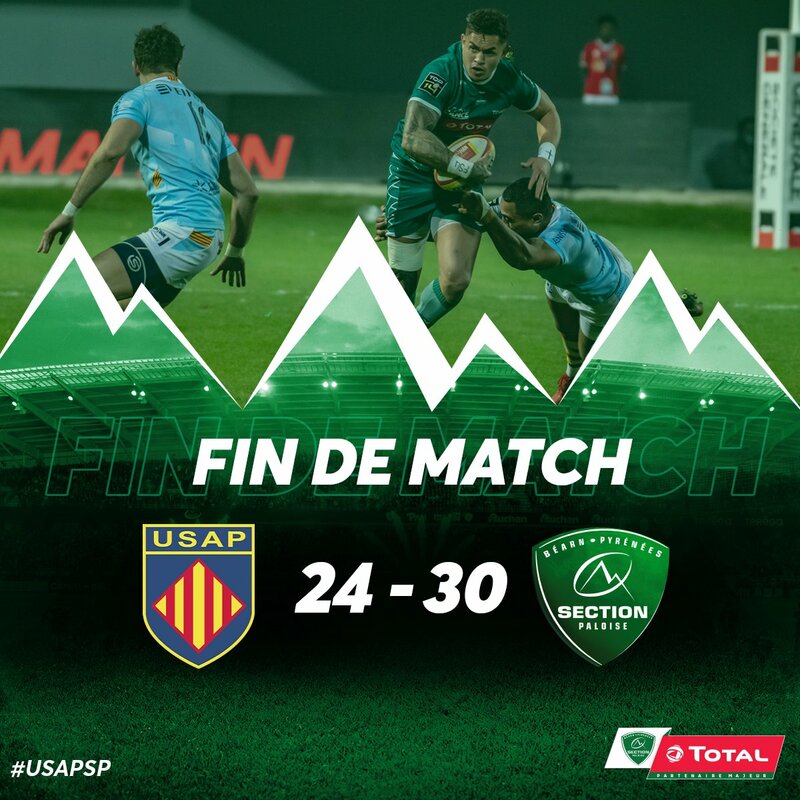 Watisoni Votu scores a try for Pau. Pau sub Paddy Butler comes onto the field. Daniel Ramsay departs for Pau. Shahn Eru comes on for Perpignan. Berend Botha leaves the field. The Pau supporters go wild as Colin Slade successfully kicks the penalty goal. Enzo Selponi converts the try. Tom Ecochard played a key part in that try. Enzo Selponi scores a try for Perpignan. The touch judges raise their flags as Colin Slade kicks the penalty goal. Colin Slade adds the points for Pau. Perpignan decide to make a substitution, with Mike Faleafa getting some game time. 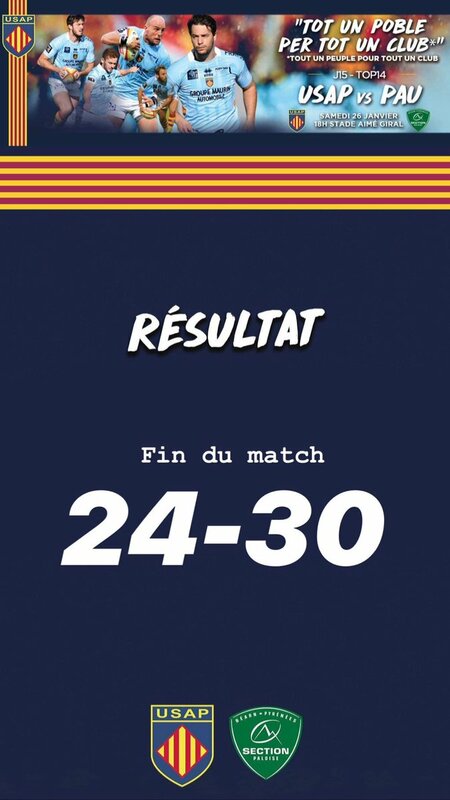 Perpignan decide to make a substitution, with Lucas Bachelier being replaced. Pau make a substitution with Jale Vatubua coming on. Pau make a substitution with Antoine Hastoy coming off. Drop goal attempt from Colin Slade has the distance but not the direction. Colin Slade does the business as his penalty goal attempt goes over. Pau sub Antoine Hastoy comes onto the field. Julien Fumat departs for Pau. Jamie Mackintosh comes on for Pau. Geoffrey Moise leaves the field. Colin Slade steps up to take the penalty goal but doesn't make it. Enzo Selponi has kicked a conversion. That's a great try assist by Enzo Selponi. Sione Piukala scores a try for Perpignan. Enzo Selponi makes no mistake with that penalty goal attempt. Colin Slade kicks the penalty. Conversion attempt from Colin Slade has the distance but not the direction. Steffon Armitage sets up the try. 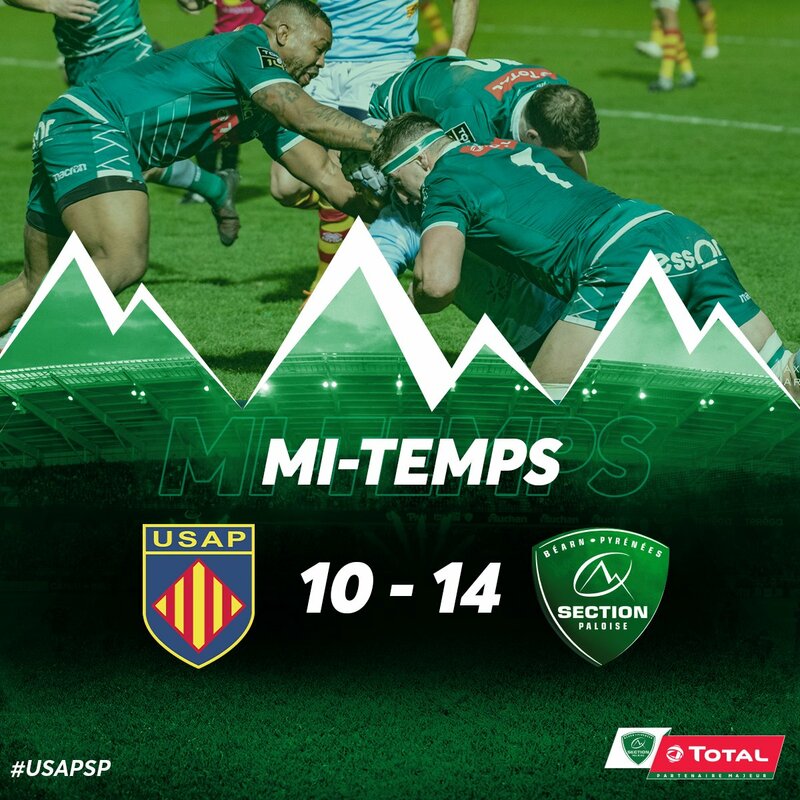 Thibault Daubagna scores a try for Pau. 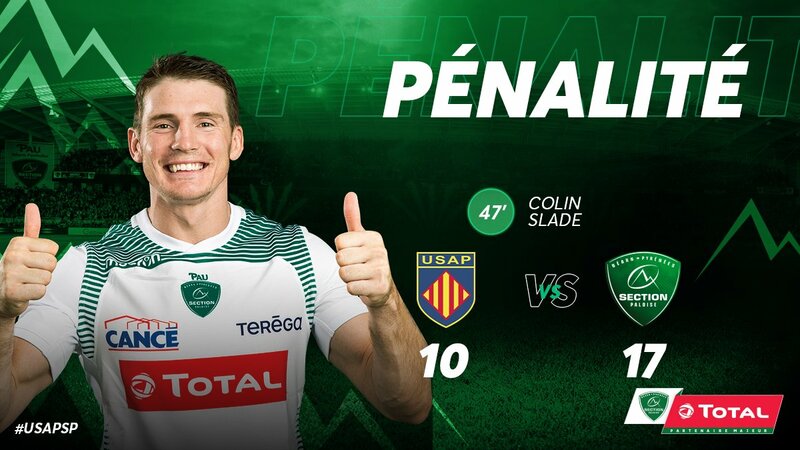 Colin Slade has kicked a penalty goal. Penalty goal attempt from Paddy Jackson has the distance but not the direction. 😁 Victoire importante avant la trêve ! Un grand bravo aux joueurs qui n’ont rien lâché jusqu’au bout !